Machine-to-machine methods, (or M2M), intelligent embedded and/or smart fusion have been around in some form for many years. The Internet of Things (IoT) goes way beyond this capability and interconnects virtually unlimited numbers of smart objects and changes the way we interact with our environment. To help rein in the vast world of IoT, the IoT DevCon will focus on technologies ranging from the ultra-low power microcontrollers to the multicore-enabled aggregation hubs to the software and security infrastructure required for monitoring and management of the enormous bundles of data. Routers and Switches and Hubs…Oh My! 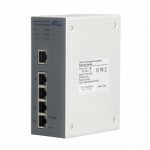 Hubs, switches, and routers are all the same in the sense of connecting network devices with each other at one of three speeds. Most devices are capable of both 10Mbs and 100Mbs and will automatically detect the speed. If the device is only capable with one speed then it will only be able to communicate with switches that also support that speed. Gigabit devices (1Gbs) are starting to slowly become more common as well. Gigabit switches, e.g. 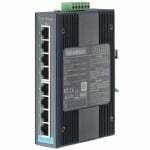 our GC-EKI-2728-BE, can be used with these devices to utilize that faster speed. Speed aside, there are still key differences between routers, switches, and hubs that many people are confused about. I often see people misusing these titles and would like to clear this up. I will start with the least complicated. A Hub is the cheapest option of the three. They are not intelligent and they simply forward all communication that is received on one port out to all of the remaining ports. All of the devices connected to a hub can see all of the data sent through it. The hub does nothing with the data being transmitted. Hubs are great in small networks without a lot of traffic. A Switch does a little more. A switch is intelligent. Switches recognize what devices are on what ports by analyzing that ports traffic. It is able to determine which particular addresses are associated with which particular ports. For example, if it sees traffic from my PC coming in on port 1, it will send all traffic for my PC to port 1 and not any of the other ports. With switches, most of the network traffic only goes where it needs to rather than to every port. On larger, busy networks this will increase the network speed. Managed switches, like our GC-ATC-405, have their own IP address and have configurable options such as directing traffic to certain ports or ignoring traffic of a certain protocol. A Router is the most intelligent of the three. A router is a Layer 3 gateway, which means it operates at the network layer of the OSI model. It routes traffic from one network to another. It has the same functionality as a switch and a hub, but also does much more. A router is programmed to understand, possibly manipulate, and route the data it’s given. Most routers include the ability to hide devices behind a firewall as well as all of the functionality found in a managed switch. With the use of a routing table, routers have the ability to filter traffic, either incoming or outgoing, based on the IP addresses of senders and receivers. The entire configuration is done through some kind of user interface, e.g., a web page.